Make Your Spring Quarter Fun! This spring quarter, International Education department are inviting students to the most exciting and entertaining activities in Seattle! You could join the first Mix & Mentor meeting on April 11th, 2014. We will watch “Captain America” at the Regal Thornton Movie Theater. There are approximately 20 FREE TICKETS for the first 20 attendees who come in front of International Education office (9302). 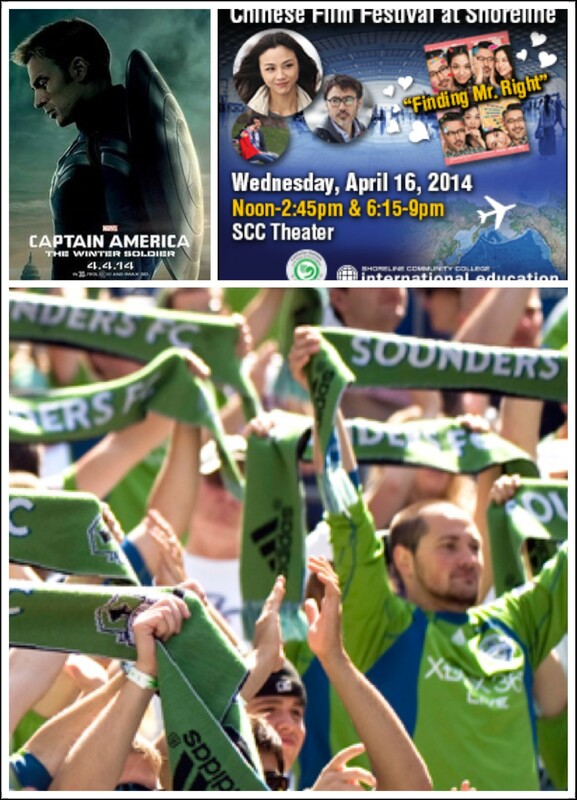 You could also come to Shoreline Theater on April 16th to watch “When Beijing Meets Seattle”. There will be two screening for public, once at noon and the second at 6:15 p.m. The film runs for 2 hours and there will be a 45 minute discussion to follow. Your Voice is Vital to Shoreline!